Before you started Keto, you might have thought about Christmas not just as a time to gather with friends and family, but also to enjoy chocolate in your stocking, a big breakfast on Christmas morning, hot cocoa in the evening, and plenty of other sweets, treats, and lavish dinners. However, if you want to stick to the Keto diet, you will need to make some adjustments with what you do eat. Though it doesn’t have to feel like you are missing out. Here are some things to know about being Keto during Christmas, and why you shouldn’t expect perfection. This is really important because it allows you to get into the right frame of mind before the holidays begin. You know what your priorities are, and those will help you to stay on track or make compromises during the holiday season and throughout Christmas. If your priority is to stay on plan strictly, then make sure you plan for it. If you decide to allow one treat on Christmas, that is okay too, as long as it is something you have worked out for yourself. Many people who are following a healthy way of eating don’t do it 100% of the time. You can follow the 80/20 rule during the holidays, where you follow Keto 80% of the time, and go a little of course 20% of the time. This doesn’t mean you necessarily plan on doing it, but sometimes situations arise where you are willing to have something with bread, or sugar, and feel okay about it because you follow your Keto plan the rest of the time. Again, everything you decide to do is completely up to you, and not something you have to reason or explain to anyone else. When it comes to what people term “cheats”, it is entirely up to you in terms of what you deem appropriate or worth it. You might absolutely love pecan pie more than anything else, and feel like having some on Thanksgiving is worth it, after eating a healthy meal with all Keto-approved foods. If this is something you feel is worth it, you won’t have guilt, and you may go another year on the Keto diet before you have another slice of pecan pie. If you want to stick to your Keto diet through the holidays, goals are going to be very effective for you. Instead of just getting a half-formed idea of being Keto, you really want to establish the diet beforehand, understand what you can and can’t eat, and have strict goals for yourself in place. Everyone should set goals, regardless of what their end result is. For someone who is going through the holiday season while on a Keto diet, this can help give you the right perspective. Think about your goals in terms of what you are eating, what health status you are trying to achieve, and yes, if you are trying to lose weight. Think about short-term and long-term goals, as this gives you something to strive for. All goals, even health-related ones, should be measurable. You can’t just say you want to be healthy – because it is subjective. Think of more specific goals, whether it means following Keto for a certain number of days or losing a specific number of pounds, or getting into a smaller size clothing item you really want to wear in the next few months. This type of eating might be much different than what you are used to, so if you want to be consistent with it throughout the holidays, it is best to start early. Getting used to Keto foods and what you can and can’t have should be done before Thanksgiving, Christmas, and other holidays your family celebrates. By the time the holiday arrives, you are already well prepared and not going to be concerned or stressed about it. If you wait too long, you will have a much more difficult time sticking to it when you have only cut out sugar and refined carbs a week before. Lastly, make sure you know what your biggest priorities are, and if there is room for compromise. For example, if you are doing Keto for specific health conditions, and not necessarily for weight loss, your priorities and goals are going to be much different than someone trying to lose a few pounds during the holidays. This can change your perspective on the diet and often on what foods you are going to eat. This might mean leaving room for a few bites of pumpkin pie or stuffing during Thanksgiving, while someone else might be a bit more strict. As the holiday season approaches, it is a good time to prepare for parties, especially if you are on the Keto diet. 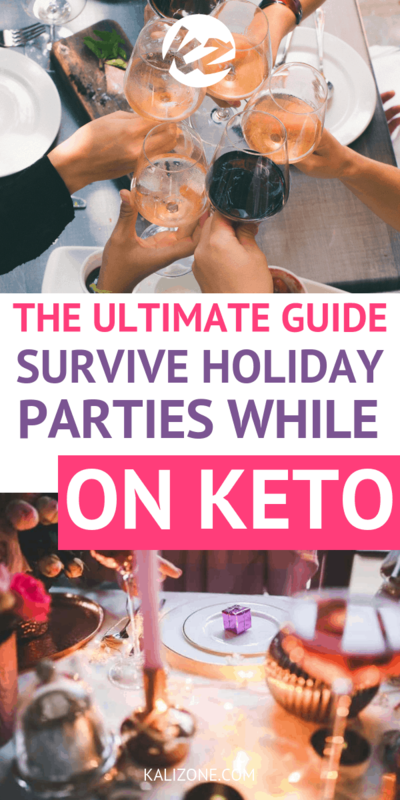 This will allow you to communicate your needs, know which parties to attend, and plan to bring some Keto-friendly dishes when it is an option. 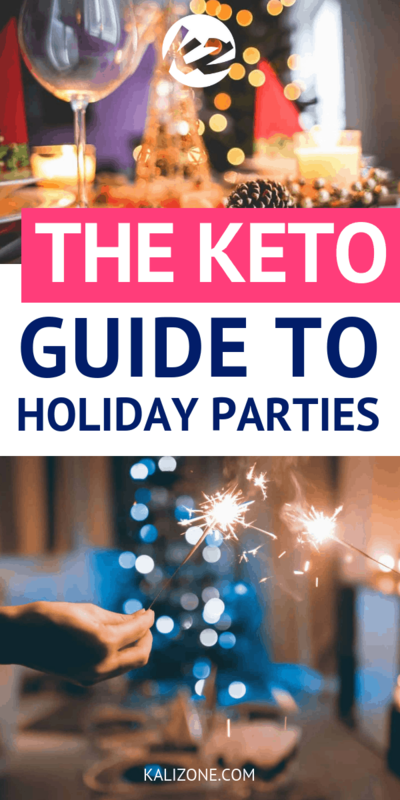 Here are some ways to plan ahead for holiday parties when you want to stay Keto. The first thing you can do if you are going to attend a holiday dinner or party while on Keto is to talk to the host. Ask what they will be serving and if there is any way they can offer a Keto option. This will depend on how well you know them as well. If they are not close to you, this might not be something you want to do. However, if it is a sibling, close friend, or close relative, feel free to just let them know about your dietary preferences, and they might be willing to make some exceptions for you. At the very least, it lets you know what to expect beforehand. This can be a great option as you know at least one thing being served is allowed on the Keto diet. Ask the host when you speak to them if you are able to bring something, or if they are looking for people to each bring their own dish. Make something filling that can be considered a main course for you, just in case most other food at the holiday dinner or party is not going to be Keto-approved. You can bet even though it is Keto, others will enjoy this delicious food you have brought. Lastly, it can help to not be absolutely starving when you arrive at a holiday party or dinner. You don’t need to be uncomfortably stuffed, but by having some Keto-approved food already in your belly, you won’t be as tempted by what is being served. This can make it a more comfortable experience, and help you to actually enjoy yourself, and not be bothered by choosing veggies and meats that are on your Keto diet. 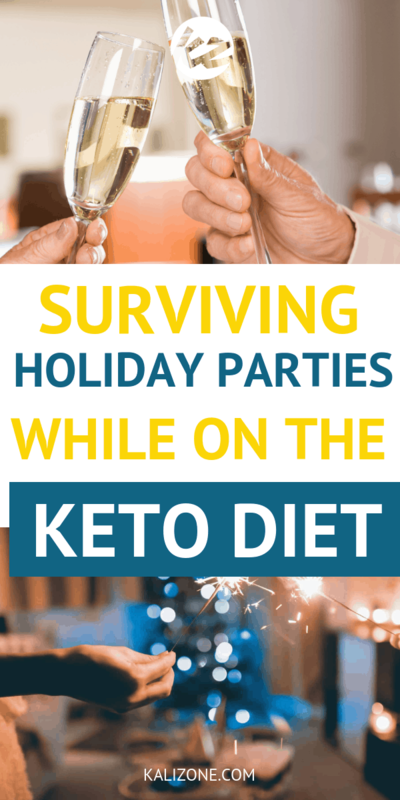 There is no reason you have to skip holiday parties and special occasions just because you are Keto or on any other type of special way of eating. You can still enjoy time with friends, eat delicious food, and not have to worry about it. The Keto diet is not a difficult one to manage on a daily basis, but when it comes to special occasions, it means adjusting your expectations, and sometimes shifting your original plans. One great way to stick to this way of eating throughout the holidays is to plan parties yourself. By agreeing to be the host, you have full control over all food, which means you can include plenty of Keto-friendly dishes for you and anyone else on this diet. Does your family or group of friends usually have a holiday party around this time of year? If so, why not offer to be the host? 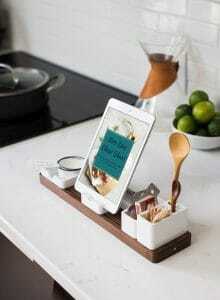 This allows you to have full control over the menu, so that you are not stressing about what to eat, trying to fill yourself up before you get to the party, and having to ask the host what everything is made with. You can still provide a lot of food and drinks that aren’t Keto for all your friends who don’t follow this way of eating, but it makes it much easier knowing what you can and can’t eat if you have prepared everything yourself. Start by cooking enough Keto-friendly dishes that your family can enjoy, along with anyone else on Keto. Keep in mind many Keto dishes are often also approved for people on Paleo, WholeFoods diets, and even Whole30. People who are interested in losing weight with clean eating or just making healthier choices will also appreciate that you have made some adjustments to your holiday dishes. Whether it means serving mashed cauliflower instead of potatoes, or not using a lot of sugar and sweeteners on your Christmas ham, you will not be the only one to appreciate these healthier changes. Even if the Keto-friendly dishes you make are delicious, you might have guests that want other foods. Try to cater to everyone by at least having appetizers, drinks, a side dish or two, and desserts that aren’t strictly Keto. This allows everyone to enjoy the special occasion without feeling forced to follow your way of eating, but you and others who are Keto or similar, can still enjoy your share of the dishes as well. That way, everyone enjoys the quality time together, eats some delicious food, and doesn’t have to stress about it. 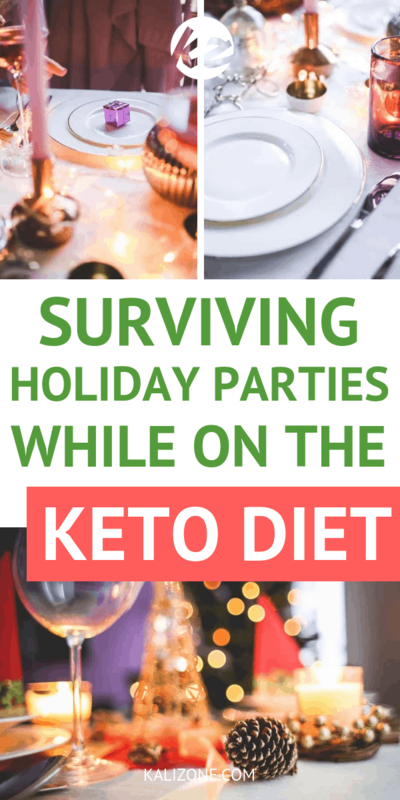 Did you enjoy The Ultimate Guide To Surviving Holiday Parties While On The Keto Diet?